A medium sized space with built-in mirrors, a piano, and three North-facing windows. 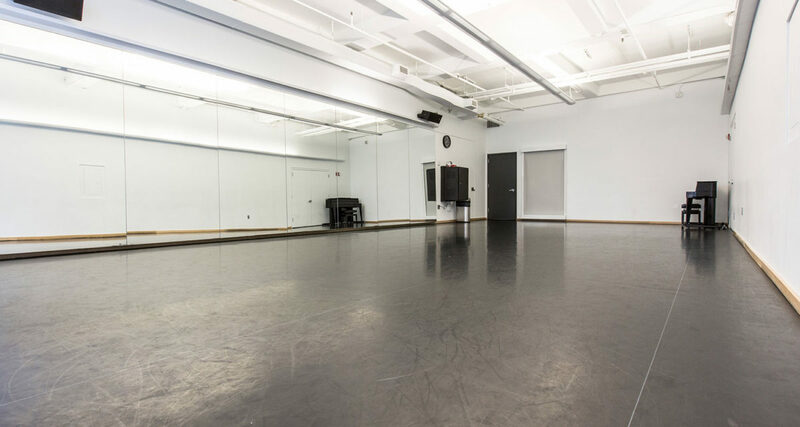 Studio G is adjacent to Gibney’s Theater space, public kitchen (with free coffee! ), and Digital Media Initiative workroom. Use of indoor sneakers is allowed. Studio G was transformed into an office conference room as the setting for Monica Bill Barnes & Company’s popular production, Happy Hour! 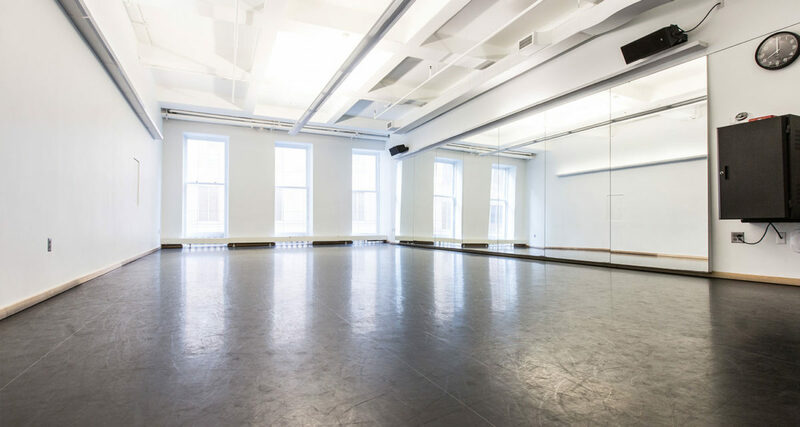 The space is located in a bustling center of activity at 280 Broadway, close to the Studio H Theater and the public Gallery space. It’s also right around the corner from our Digital Media Initiative workroom, where you can rent out a work station to edit video footage of your rehearsal.